Check out these men's brown Gambler by Durango Western boot featuring a 1 inch heel and a square toe. It's 12 inches tall, with a full-grain leather foot, collar and pull strap, and a man-made upper. 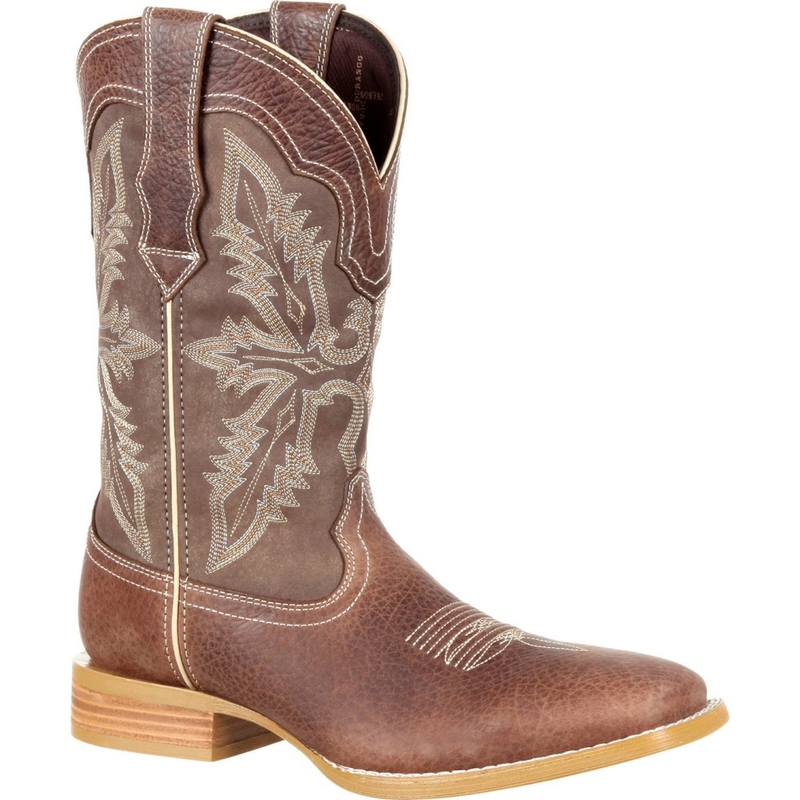 This cowboy boot has a Cushion Flex insole for comfort with each step. A mesh lining lets air get to your foot, and a tempered steel shank offers arch support. Go ahead and order yourself a pair of these Gambler by Durango Western Boots today!